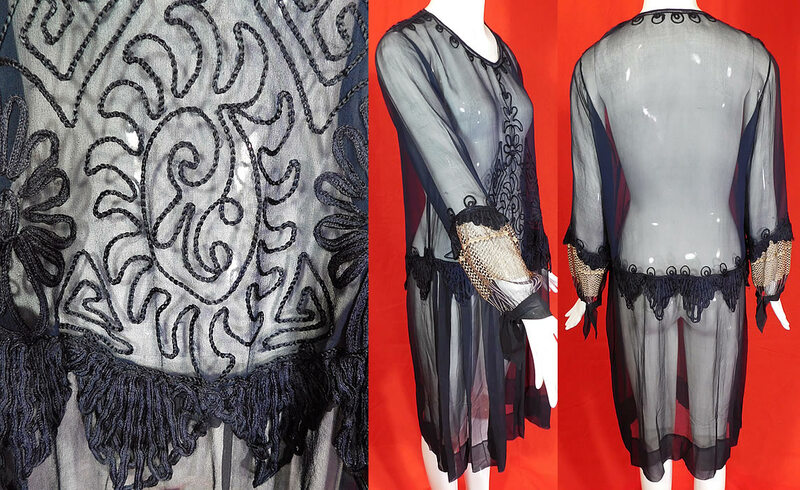 This vintage navy blue silk chiffon chain stitch embroidered drop waist dress dates from the 1920s. 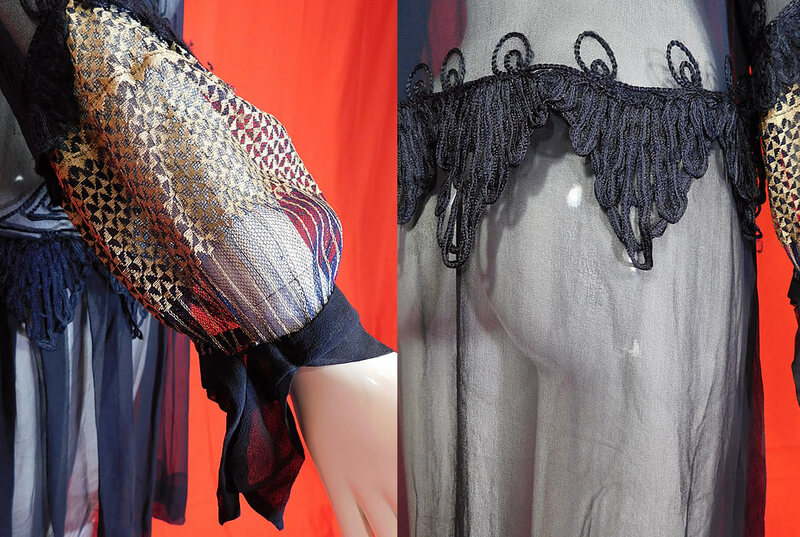 It is made of a navy blue sheer silk chiffon fabric, with decorative chain stitch, soutache embroidery work details with ribbonwork scalloped trim edging around the waist and sleeve. This beautiful blue dress is loose fitting, with a drop waist, long bishop sleeve tapering down to a fitted cuff with a sheer gold Maltese cross lace pattern, snap closure on one shoulder which is missing and is sheer, unlined. The dress measures 42 inches long, with a 42 inch bust, 40 inch waist, 46 inch hips, 14 1/2 inch back and 23 inch long sleeve. It is in good as-is condition, with only slight faint underarm discoloration and a small frayed hole on the back skirt (see close-up). 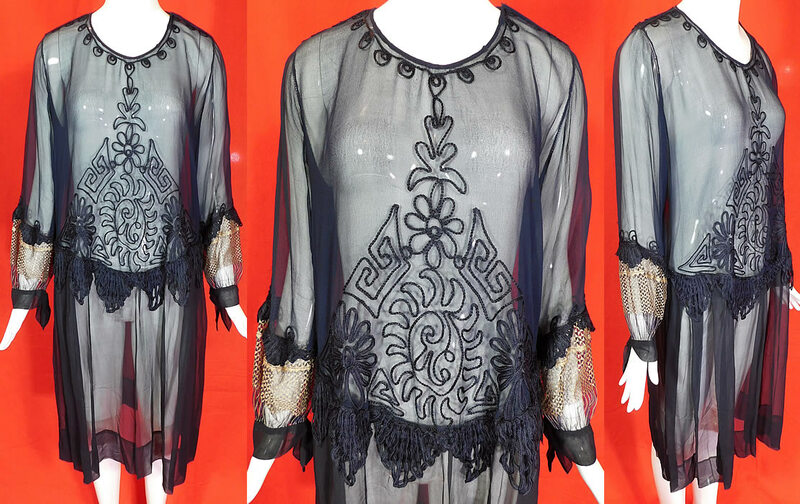 This is truly a wonderful piece of Art Deco wearable art!